The government of Saudi Arabia has boarded on a colossal project that pursues to multiply the area of the Mosque in Makkah to house millions of more pilgrims. This project has been in progress for the previous few years and the plan of the new mosque continues to draw closer towards its completion.Over the last decade Mecca has been revamped from a desert pilgrimage city into a glimmering capital of skyscrapers that overlook Al Masjid al-Haram and are bursting with a multitude of luxury apartments, shopping malls and most importantly the five star hotels. In the long run, the project that is envisaged to serve well the guests of Allah might be temporarily creating a few discomforts for the pilgrims. This includes the demolishing and therefore the unavailability of 3 and 4 star hotels in the close proximity of the Haram. The number of demolishing properties in Makkah during the course of this expansion project has reached 6,000 so far. This could appear worrisome at present but its sole purpose is the provision of better services and comforted accommodation for the pilgrims of Hajj and Umrah. To enhance the quality of service for pilgrims, the Saudi authorities settled to demolish almost all the 3 and 4 star hotels closest to the Haram and to replace them by luxury 5 stars hotels. Hotel developers and the concerned authorities are working really hard to keep pace and minimize the hassles faced by the pilgrims during the intermediary years of construction and renovation. The new project is anticipated to finalize by 2020, with short-term targets that will be accomplished from now until the year when it is a finished perfection.The innovative design of the mosque will stock other conveniences around the area that include residential buildings, conference halls, better security services, command centers to control the flow of traffic, etc. The fresh infrastructure will endure to explore and implement excellences over the existing infrastructure by ultimately making it exceptionally easy for pilgrims to get in and out of the Haram Mosque compound with minimized troubles. 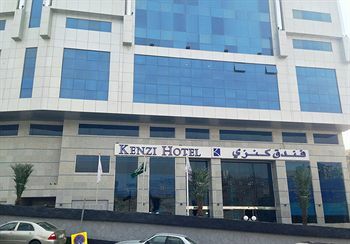 Some of the most popular hotels being demolished are Kenzi Makkah. There are rumors as well, however that the demolitions will not be executed untill after Hajj. We will update this very page Insha Allah, once we receive an update on this. This destruction of hotels might come as displeasing to the Muslims who have been to the pilgrimage before and now they cannot find the same hotel that used to be their soothing lodging. Nevertheless, we are here to alleviate your worry and guide you through the process of choosing an alternate to best suit your budget and comfort needs. Come up with your queries and we will provide you the finest solutions up to your level of satisfaction.